Practicing safe driving habits is crucial in order to protect the safety of yourself and your loved ones on the road. Unfortunately, all accidents cannot be anticipated and it is important to stay calm and take the necessary actions to ensure your safety and protect your legal rights. It is very important to move your vehicle out of the way of oncoming traffic following an auto accident. It is best to move your car to the side of the road to ensure your safety, and to avoid disrupting oncoming traffic. Once your vehicle has been moved to a safe location, gather as much information as possible for your potential legal suit. Immediately seeking medical attention is imperative following an auto accident. Many car accident victims neglect to seek medical attention if there is no apparent sign of severe injury. Unfortunately, pain can become apparent and even worsen over time; and waiting too long to seek medical attention can hinder your personal injury claim. It is highly recommended to immediately get medical care following an accident to protect your safety and defend your legal rights. It is always wise to contact a personal injury lawyer following an auto accident. A personal injury attorney can provide legal counsel and help to defend your rights. If you are injured, an experienced auto accident attorney can help to make sure that your medical bills are paid, negotiate the costs of your treatment, and add additional value to your claim. If you have been injured in an auto accident, call Blick Law Firm today for a free case evaluation regarding your personal injury claim. Attorney Michael Blickensderfer has over 25 year’s legal experience, and will diligently work hard to defend your rights. 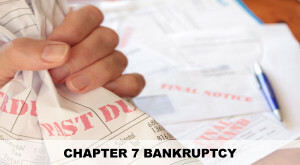 Bankruptcy cases are gen erally filed under Chapter 7 or Chapter 13 of the Bankruptcy Code. Filing for bankruptcy can be very intimidating and confusing for most people. When filing for bankruptcy, it is very important that the information and paperwork are filed correctly to ensure that your bankruptcy claim is successful. An experienced bankruptcy lawyer can assist you with your bankruptcy claim, and help to make sure that the proper steps and precautions are being made when filing. Chapter 7 of the bankruptcy code is used to liquidate assets so that debts can be paid. This option allows those struggling with debt to obtain a fresh start and new financial beginning. Repayment plans are also available to get those struggling with debt back on track. Unlike Chapter 7, Chapter 13 of the bankruptcy code does not involve the liquidation of assets. Chapter 13 allows the debtor to keep property and negotiate bills so that they can be consolidated. This method of bankruptcy requires more time than that of chapter 7 due to the repayment process. The repayment plan allows those struggling with debt to keep their assets as, well as pay off their bills. Filing for Bankruptcy can be a very time consuming process, and it is crucial that paperwork is filed correctly. Assistance from an experienced Bankruptcy Lawyer is highly recommended when considering filing for Bankruptcy. An experienced Bankruptcy attorney can provide you with detailed information regarding your options, as well as assist you with the execution of your claim. A Bankruptcy Lawyer can also help to make sure that your paperwork is properly filed and completed, as well as assist you with any discrepancies that may arise. If you are considering Bankruptcy, the experienced lawyers at Blick Law Firm can help to secure your benefits and maximize your recovery. Call Blick Law Firm today for a free 15 minute consultation. 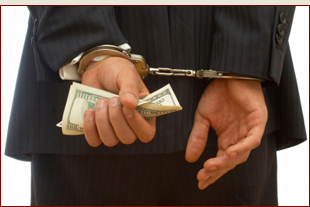 Blick Law Firm defends clients in multiple areas of criminal defense including white collar crime. White collar crime was first defined by Edwin Sutherland as a crime committed by a person of respectability and high social status in the course of his occupation. Today, white collar crime is synonymous with the full range of frauds committed by business and government professionals. The type of crime that falls under the “white collar” category has been largely debated. 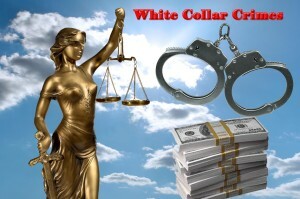 However, offenses involving fraud, bribery, embezzlement, copyright infringement, money laundering, identity theft, and forgery are generally classified as “white collar” crimes. 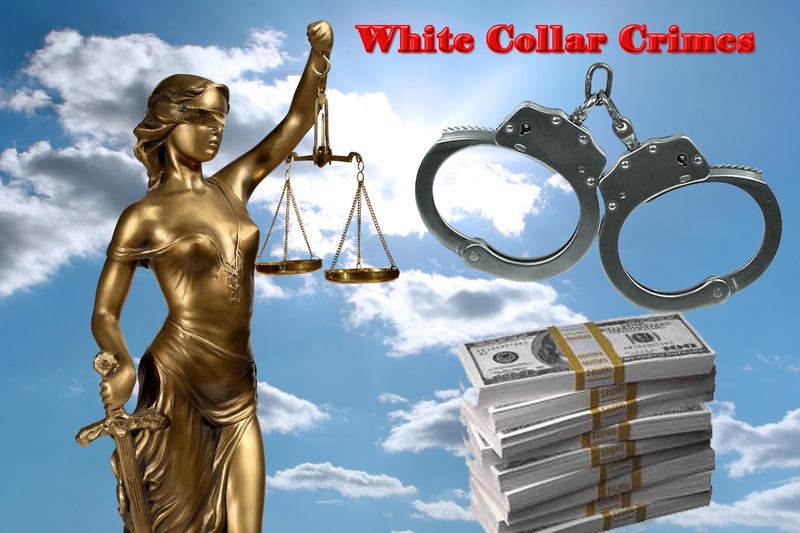 The penalties for white collar offenses include fines, home detention, and community confinement, paying the cost of prosecution, forfeitures, restitution, supervised release, and imprisonment. These penalties vary depending on case details, and sometimes sanctions can be lightened due to particular circumstances. If you have been charged for a white collar crime, it is imperative too seek legal representation from an experienced criminal lawyer. Due to the complex and unique nature of white collar offenses, a knowledgeable criminal attorney is needed to guide you through court proceedings, as well as help you to obtain a favorable outcome. Attorney Michael C. Blickensderfer is exceptionally skilled in Criminal Law. As a former prosecutor, Mr. Blickensderfer defends clients with superior legal prowess. He has extensive trial and courtroom experience in civil and criminal matters, and has also acted as a public defender. 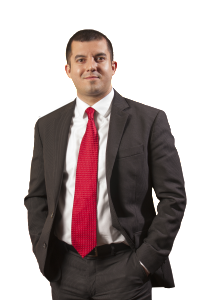 Michael Blickensderfer maintains great proficiency and vast knowledge as a private defense attorney. If you are in need of a criminal defense lawyer, Michael C. Blickensderfer will aggressively defend your rights and bring his extensive trial experience to assist you in the defense of your case. Call Blick Law Firm today for a free 15 minute consultation with Attorney Michael C. Blickensderfer. Over the weekend, Ray J was arrested in L.A. after allegedly touching a woman inappropriately, kicking out a patrol car window, and spitting at an officer. The Police were called to a bar after R&B singer Ray J was accused of touching a woman inappropriately. 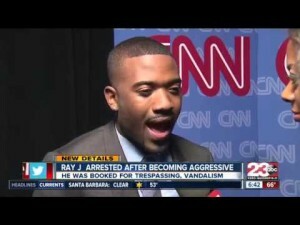 Ray J behaved in an unruly manner after the police arrived and asked him to leave the premises. Ray J responded violently by kicking and shattering the police car window. He proceeded to spit in the police officers face. The incident took place in a parking garage where Ray J was arrested, the confrontation was determined to be incidental. When approached by law enforcement, it is important to behave in a cooperative and graceful manner. Provocative actions such as spitting at a police officer is not recommended. Actions like this can be used against you and complicate the outcome of your case. These types of actions can also instigate additional charges. If you have been arrested for a criminal offense, it is crucial to immediately seek legal representation from a well-qualified and experienced Criminal Lawyer. The nature of criminal offenses can be complicated, and every case is unique. A knowledgeable Criminal Attorney is needed to guide you through court proceedings, as well as help you to obtain a favorable outcome. Blick Law Firm specializes in many areas of Criminal Law. Attorney Michael C. Blickensderfer has served as both a prosecutor and public defender. His trial and courtroom experience in criminal and civil matters is exemplified in his merit as a private defense attorney. If you are in need of a criminal defense lawyer, Michael C. Blickensderfer will help to defend your rights and proactively assist you in the defense of your case. Shots broke out on Clearwater Beach this past Monday during Memorial Day weekend. Tampa Police officials report two injured with eight in custody; four of the eight suspects have been arrested. According to police records, a dispute between two groups occurred near the Hyatt Regency Clearwater Beach Resort and Spa Hotel parking garage. The fun and peaceful atmosphere at Clearwater beach was disrupted when shots were fired, resulting in panic and chaos among beach goers. Following the accident, the Hyatt hotel was shut down as well as beach access. The Swat team arrived to search the hotel and surrounding area, access was granted to residents only. A local restaurant employee recalls the dispute involving a large group of teenagers. When someone arrived with a gun, the dispute violently escalated and two shots were fired. Unfortunately, these types of shootings are very rare but not impossible. Many people do not anticipate being involved in such a disaster, and are unsure of what to do in this type of situation. It is important to understand that a shooting can occur at any place and time. Among the first sound of gunfire one’s first instinct may be to duck and take cover however, it is very important to leave your belongings behind and immediately get far away as fast as possible. Keep your hands visible to show law enforcement that you are not carrying a weapon, follow the directions given by law enforcement to ensure the safety of yourself and loved ones. All types of accidents and injuries are more likely to occur on holidays such as Memorial Day, and there are many ways to make sure that you and your family stay safe. Florida’s sunny weather brings many families outdoors to enjoy Memorial Day weekend. The clear and cool waters of Florida beaches attract both local and out of state visitors, resulting in large crowds and heavy traffic. It is important that safety is prioritized when planning your family’s Memorial Day adventure outdoors. If you like to visit the beach on Memorial Day, follow these tips to ensure the safety of yourself and loved ones. If you or a loved one has been injured in an accident, Call Blick Law Firm today for a free 15 minute consultation. 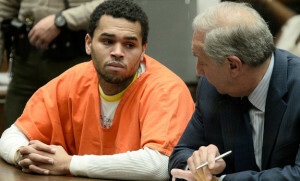 R&B singer Chris Brown, was released from jail this past Monday. Brown had been sentenced to a year behind bars for violating his probation in the Rihanna case. Brown served 108 days of the 130 that he was sentenced and tweeted “Humbled and Blessed”, and expressed his appreciation to God following his release. Brown plans to cut ties with the bad influences in his life, and is determined to clean up his image. He also reportedly plans to stay away from drugs, and focus on his career. Chris Brown’s recent statements are positive and inspirational words that can inspire those that may be going through a similar situation. Brown also sets a good example of how to use social media when involved in a criminal matter. Social Media sites are routinely used by Law Enforcement during criminal investigations. In a criminal matter, it is very important to be cautious when using social media sites, as certain information can hinder the outcome your case. Social Media websites such as Facebook, Twitter, and Instagram are very popular sites where users share intimate information regarding their whereabouts, what they ate, who they were with, and more. These sites allow anyone to learn a great deal of personal information about a user, and law enforcement has access to this information as well. Although many social media sites allow users to set privacy settings, many courts have ruled that social media postings are not private. The privacy policies on sites such as Facebook and Twitter have cautioned users that shared information can be viewed by the public. Therefore, anything posted on a social media site can be found and used against you in a criminal investigation and trial. Blick Law Firm defends clients in multiple areas of Criminal Law. A Criminal Defense Attorney can provide you with legal counsel, and advise you in regards to your rights. An experienced lawyer can also advise you in the actions and procedures that need to take place going forward. Call Blick Law Firm today for a free 15-minute consultation. Think Quick, Call Blick!